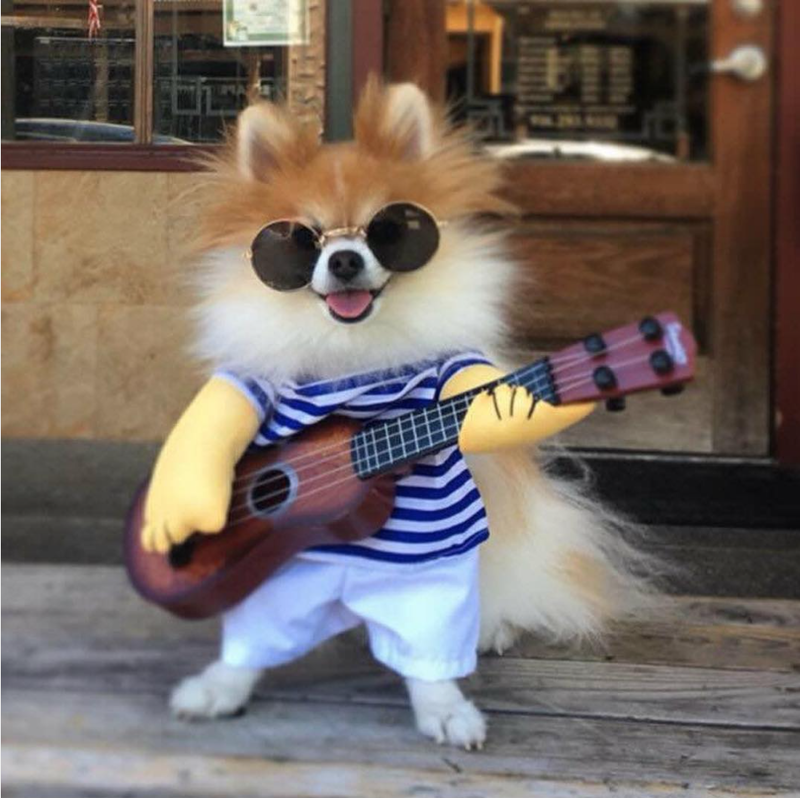 We believe all dogs should feel just as glamorous as their human counterparts! My name is Blake Bedirian. I have been working in the animal field for 15 years. I have a true passion for all animals. My career with animals began in Veterinary medicine, I have logged a cumulative twenty thousand hours working as a veterinary technician and as a doctors assistant. Over the years I have developed great insight into the animal medical world. I am very in tune with pet health, and will always alert you when something abnormal is noticed. Between the veterinary medical fields, I worked in dog daycare for two years, which gave me a unique insight into canine psychology, behavior and body language. During this time I noticed I had a knack for winning over aggressive dogs. I have also come to specialize in dog grooming for treasured pets that just underwent surgery and can't have a normal groom due to a cast, splint or incision.I specialize in bathing dogs and giving them a truly lavish experience. We use the highest quality Shampoos, conditioners and crème rinses. These products are natural, products do not contain soap or detergent but still give you amazing results without damaging skin or fur. 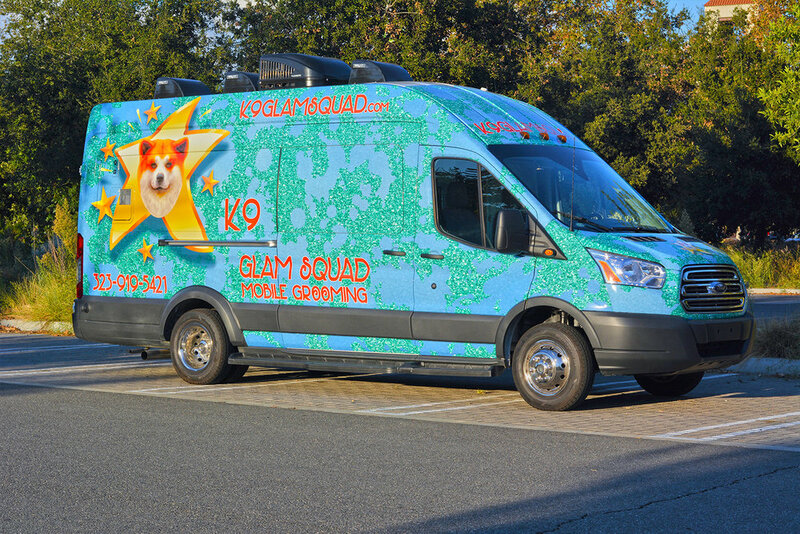 K9 Glam Squad was created to help bring the convenience of the luxury spa grooming experience in a state of the art mobile grooming unit right outside your front door. Each pet is given a truly unique experience from beginning to end. I have a deep passion for grooming dogs. It truly makes me happy and brings joy to my day. They say if your happy with what you do, you will never work a day in your life. I have been grooming and working in veterinary medicine for 15 years. This is my passion and my promise is to provide the highest quality dog grooming experience that you and your dog will ever experience. All Haircuts include everything above. Cuts are based on owner preference, specializing in freestyle cuts, to give each pet a custom look. This is a service we offer for our K9 Glam Squad clients. This special process will nourish and soften skin and coat, leaving the coat fresher and cleaner for longer then standard groom. Ask about hot towel service when booking your appointment. Medicated baths are welcome at K9 Glam Squad (Prescribed shampoo /conditioner provided by owner). 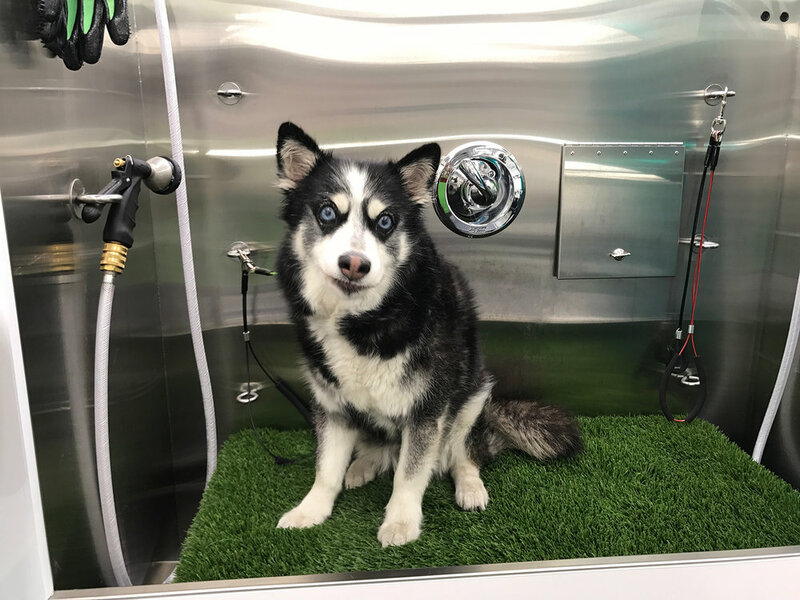 With years of experience and countless medicated grooms I have fine-tuned the medicated baths to maximize the results of the topical therapy. Do you have a senior dog that has difficulty standing or a special needs pet? K9 Glam Squad offers a service for you. Please include your pet's special needs information in the Appointment Form. 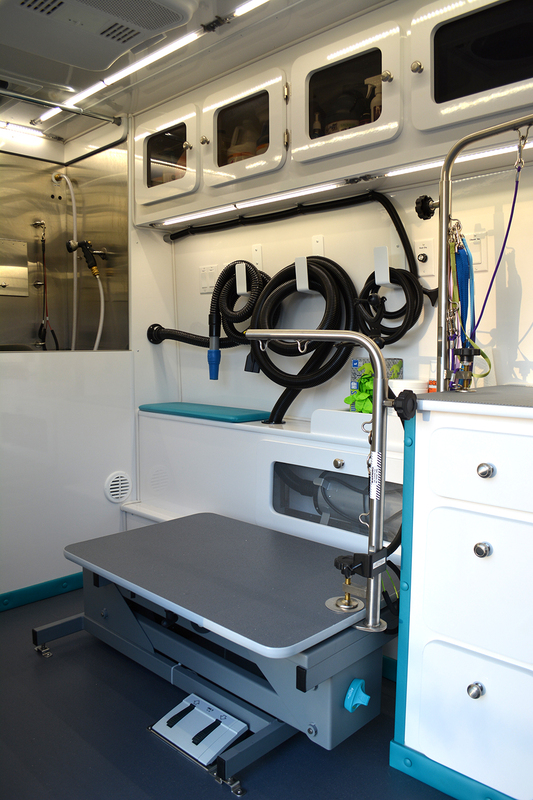 We are proud to partner with some of the most prominent veterinary hospitals in Los Angeles to offer truly unique groom experience. After ten years of working in a veterinary hospital I have created a special groom service for those pets that are wearing a cast/splint/bandage. Did your furry friend have a run in with a skunk and loose? Well you are in luck because we offer a service to remove as much of the Smell as possible in a single groom. This is done with several products and usually takes triple the standard grooming time, around 3-4 hours. Depending on how close your pet got sprayed, occasionally there is a residual odor that takes a couple groomings to get out. Water hose access is required for this service by home owner. Don’t work normal hours? Or Work on set and don’t have time to leave. 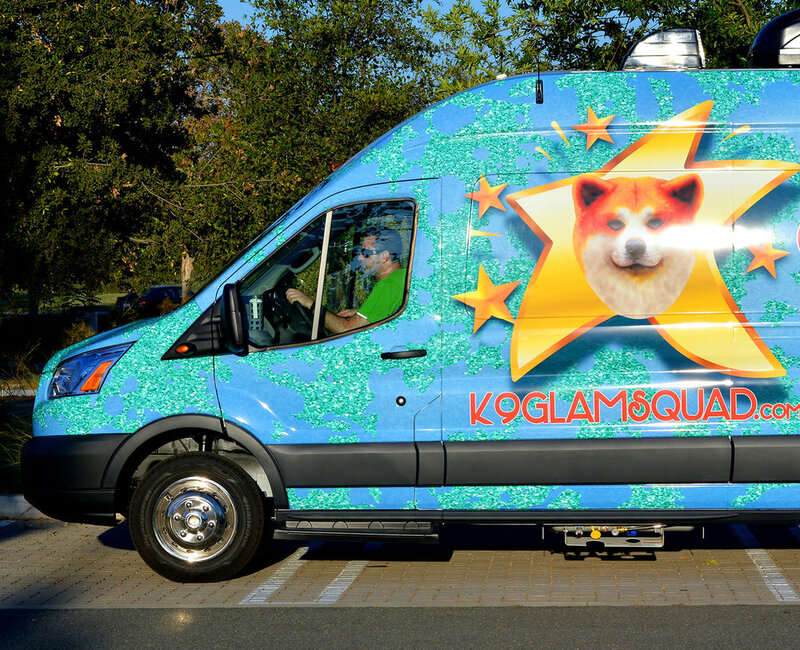 Well look no further then K9 Glam squad Mobile Grooming. We are here to accommodate your unique schedule. Additional fees may apply. Call or email ahead for late night/ “On the Lot” grooming appointment availability. K9 glam squad is unique in offering a specialty service for owners with aggressive dogs that have been banned from traditional grooming parlors. Prices are based on temperament, size, coat condition, length, & level of difficulty. Please call or email for price quote. NOTE: Owners that wish to request an aggressive dog groom must first take their pet to a veterinarian to ensure the pet is healthy enough to be groomed. Secondly, before your grooming appointment, you will need to purchase a wire basket muzzle that’s wide enough to allow your dog to pant. The type of muzzle required entails being made with a wire basket, not plastic or leather. It must allow your pet to fully open his or her mouth while being groomed. Muzzles that keep the mouth shut are not acceptable, as they hinder the dog’s natural ability to regulate their body temperature through panting, thus potentially exposing a dog to overheat, which is below our standard of care. All dogs must be fully vaccinated. If your pet is positive for Parasites including Giardia or Coccidea special appointment can be booked in advanced additional fees apply. Unfortunately we do not accept appointments for pets with Sarcoptic mange, Ringworm or any kind of upper respiratory infection. Appointment minimum is 100$ for a Glam Squad groom. Breed, Coat condition, and temperament determine final price. Most Grooms for dogs with good coat/skin condition, short/single coated breeds stay at $100 for A Glam Groom, regardless of size. Breeds with double or triple coats require an increase in price due to the time and resources it takes to get long haired/double/triple coated breeds fully groomed. Appointment times vary from 1 to 3 hours, depending on client needs. All Haircuts are included in the Glam Squad Groom. Cuts are based on owner preference, specializing in free style cuts, to give each pet a custom look. 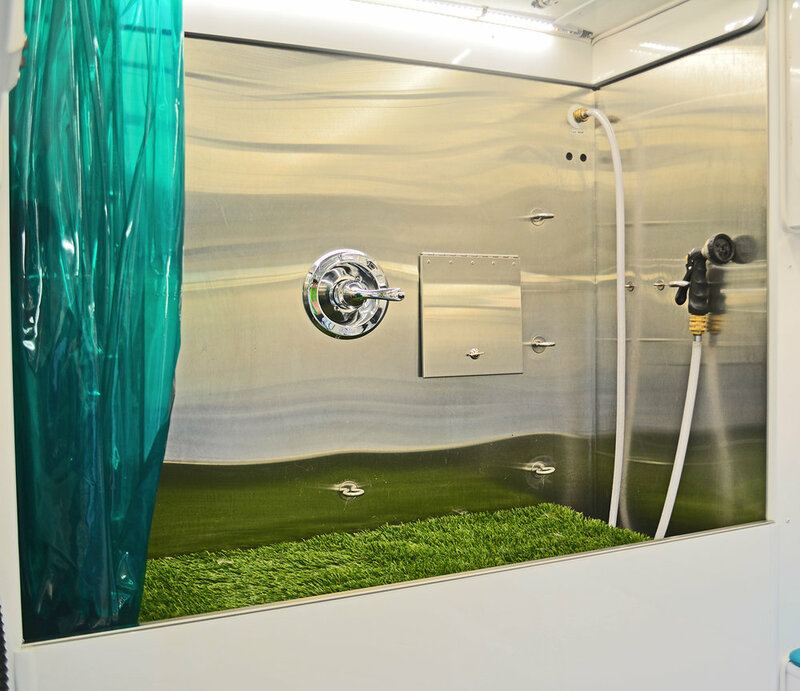 Medicated baths are welcomed at K9 Glam Squad (prescribed shampoo /conditioner provided by owner). With years of experience and countless medicated grooms I have fine-tuned the medicated baths to maximize the results of the topical therapy. Did your furry friend have a run in with a skunk and loose? Well you are in luck because we offer a service to remove as much of the Smell as possible in a single groom. This is done with several products and usually takes triple the standard grooming time, around 3-4 hours. Depending on how close your pet gets sprayed, sometimes there is a residual odor that takes a couple grooms to get out. Water hose access is required for this service by home owner. 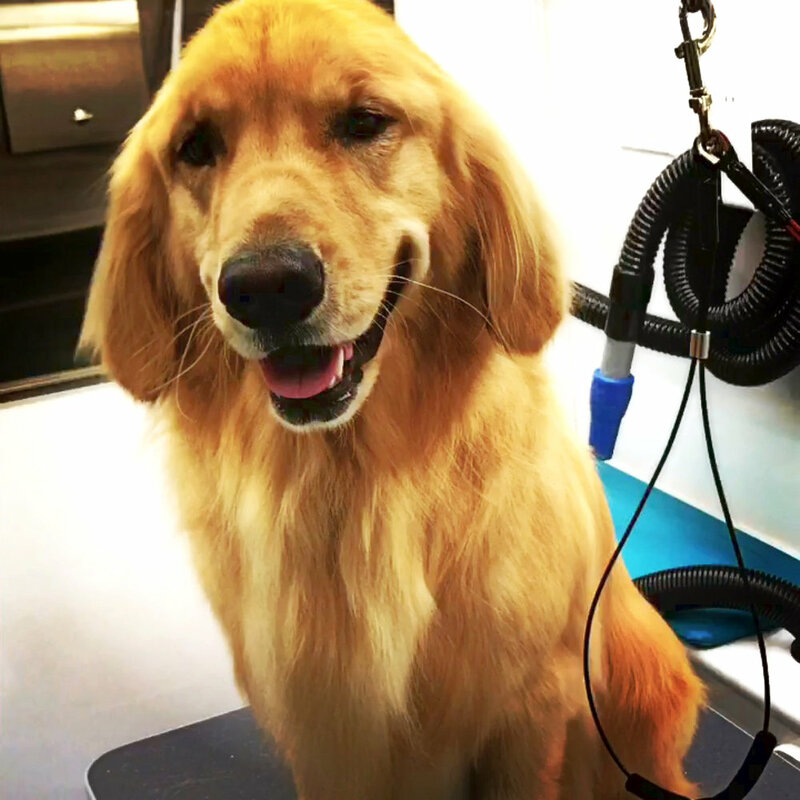 K9 glam squad is unique in offering a specialty service for owners with aggressive dogs that have been banned from traditional grooming parlors. Prices are based on temperament, size, coat condition, length, & level of difficulty. Please call or email for a price quote. Dog’s and puppies must be vaccinated, puppies should be at least on second round of core vaccines.If your pet is positive for parasites including Giardia or Coccidea special appointments can be booked in advanced additional fees apply. Unfortunately we do not accept appointments for pets with Sarcoptic mange, Ringworm or any kind of upper respiratory infection. 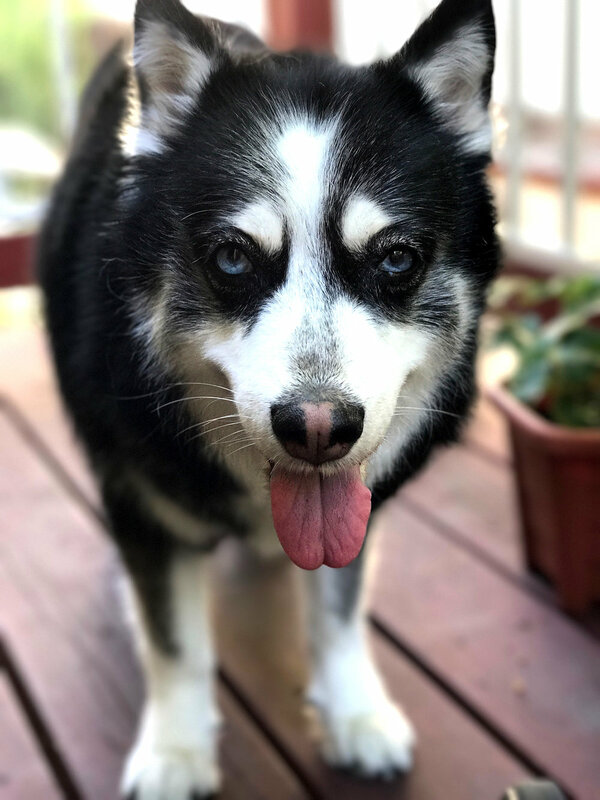 Moki the Husky. New friend of K9 Glam Squad. Here is a gallery of Friends of K9 Glam Squad . . . before, during and after glamming! Mr. Pug! Long time client of K9 Glam Squad. Please call, text or email me to book. Please email us to set up a mobile grooming appointment. We will get back to you within 24 hours. 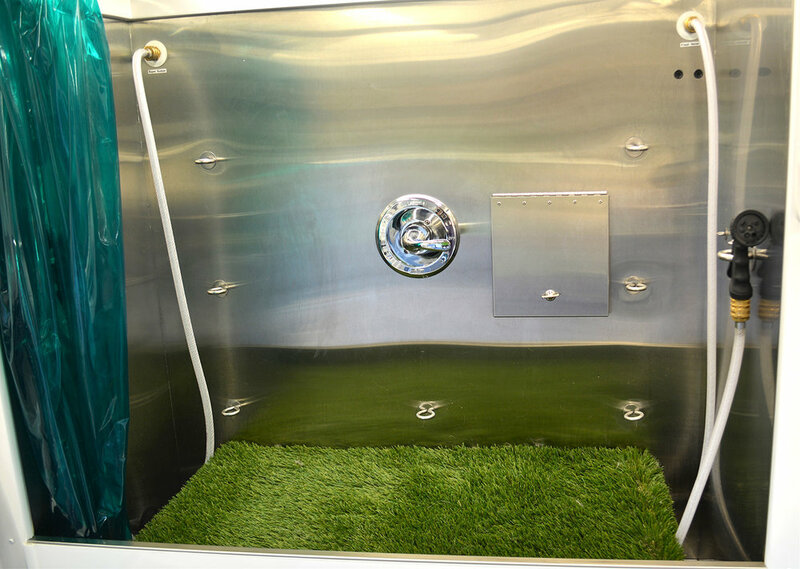 We can't wait to meet you and get your pup looking the best they have ever looked. Please complete the form below TO GET THINGS GOING! Copyright 2017 K9 Glam Squad LLC. All rights reserved.